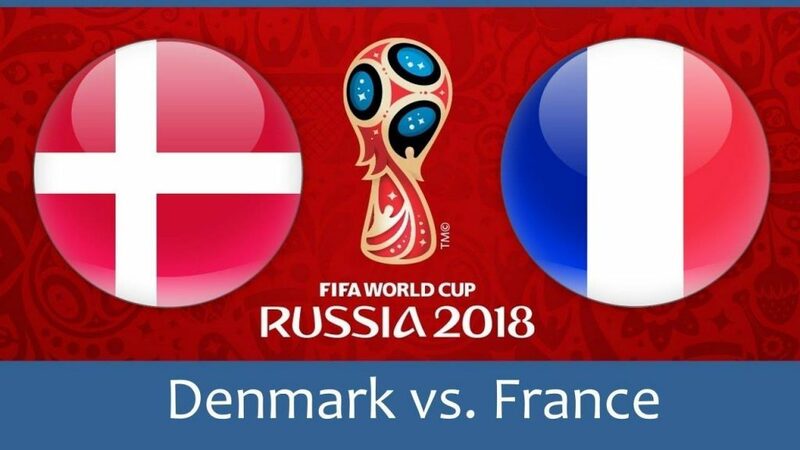 The clash between Denmark and France will be played at the Luzhniki Arena in Moscow on June 26th. Denmark needs just a point to book their place in the knockout phase, a win will get them the first place in the group, while the defeat could eliminate them out of the World Cup, but only in case of Australia’s win over Peru. Denmark didn’t impress so far in the tournament as they were extremely lucky to get three points against Peru, while Australia was a better side in a 1-1 draw, so the Danish Dynamite has a space for improvement. Christian Eriksen put them ahead in the 7th minute thanks to a great pass from Nicolai Jorgensen and even better finish from Tottenham’s midfielder, who snapped the ball into the roof of the net. The Socceroos started playing better since and in the 38th minute they were awarded a penalty as Yussuf Poulsen handled the ball in the box, and the captain Mile Jedinak had no trouble to convert it and tie the score. That goal brought joy to anyone who bet on BTTS at +120, while missed chances from Aaron Mooy and Daniel Arzani didn’t change the result, so if you backed a draw at +240, well done. On the other hand, the Blues had luck not to drop points against Peru who was motivated to bounce back from an unlucky defeat to Denmark, but once again, the Incas were left empty-handed. Paolo Guerrero had a golden opportunity to give the Peruvians a lead in the 31st minute, but Hugo Lloris managed to save Guerrero’s left-footer with his legs. On the other end of the pitch, the luck again turned its back on Peru as Olivier Giroud’s attempt rebounded to KylianMbappe who didn’t have trouble to put it into an empty net in the 34th minute. Pedro Aquino hit the crossbar in the 50th minute, and nothing important happened for the remainder of the game, so France secured a 1-0 victory at -164. As expected, Christian Eriksen is the most valuable player for Denmark at this World Cup as he was directly involved in both goals they scored, so I believe all the attacking plays will go through him on this one. Nabil Fekir could get a chance to start as Deschamps might opt to leave his usual starters on the bench, so Lyon’s captain has the opportunity to leave his mark and perhaps lift his value on the transfer market, as he is one of the most wanted players at the moment. Denmark: Schmeichel; Dalsgaard, Kjaer, Christensen, Larsen; Delaney, Schone, Eriksen; Sisto, Braithwaite, Jorgensen. France: Lloris; Sidibe (Pavard), Varane, Umtiti (Kimpembe), Mendy (Lucas); Pogba (Nzonzi), Tolisso (Kante); Fekir, Dembele, Thauvin; Giroud. Denmark’s chances to win the World Cup are up to +8000, while the Danish Dynamite is +200 to reach the quarter-finals. France’s chances to win the World Cup are up to +800, while the Blues are -200 to reach the quarter-finals. France is a favorite to win here, but the odds on them went from -164 to +114 as the bookies are not sure which eleven players will Deschamps choose, and even though a draw would be enough for both teams to progress, I am going with goals here.